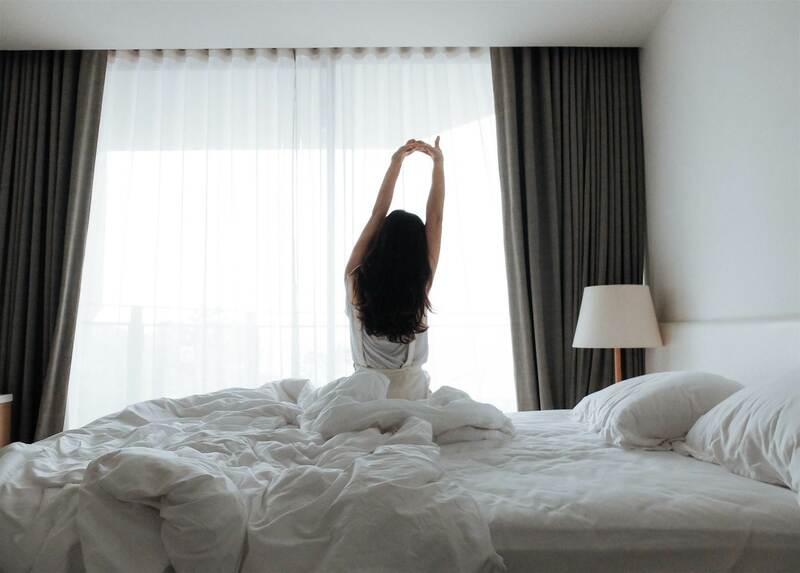 Whether you’re on a Marie Kondo-inspired cleaning kick or made a New Year’s resolution to focus on self care, the bedroom is a great place to focus that fresh-start energy. 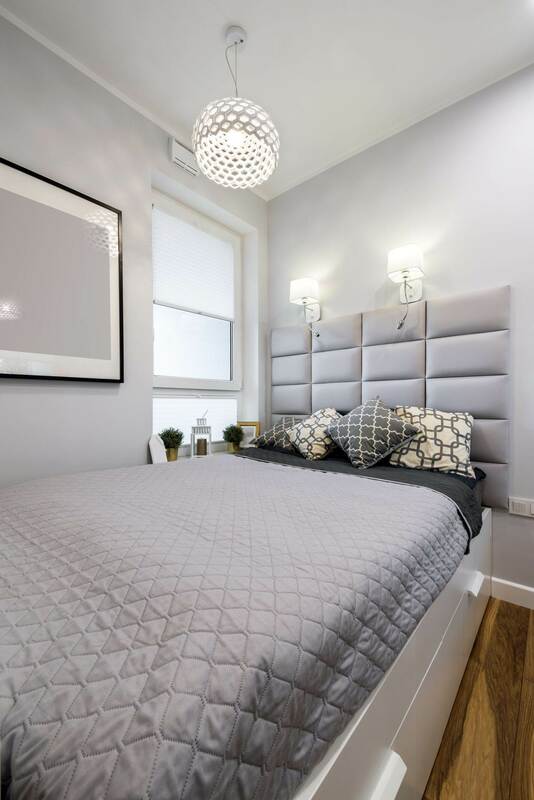 While decluttering is always an excellent way to begin, it may also be time to feng shui your bedroom, which will not only leave it looking nicer but may also help you sleep better. With reports that more than one in three Australians aren’t getting the sleep they need, it seems people are constantly searching for strategies to not only sleep more, but also get sleep that's truly restorative. From products like eye masks and weighted blankets to natural sleep aids like chamomile tea and magnesium, we're always on the hunt for the next great hack that'll help us snooze. Unlike these quick fixes, feng shui is anything but a shortcut; however, practitioners say the impact can be profound. 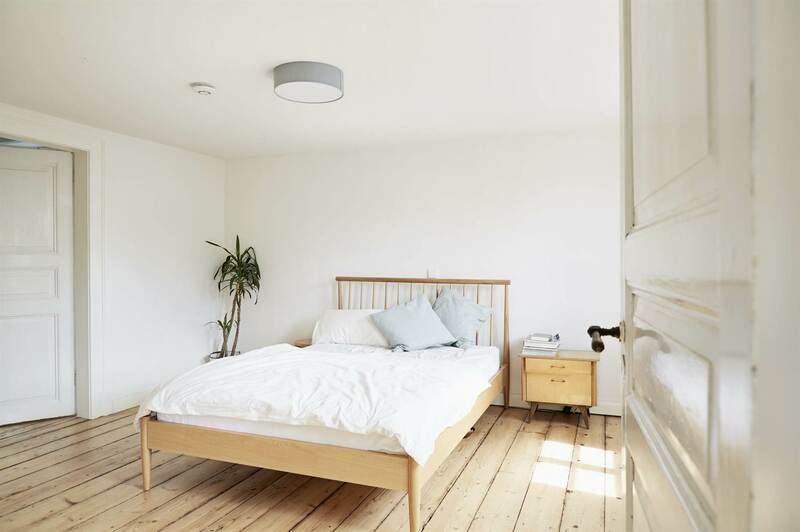 Despite the common misconception, feng shui is about so much more than simply how things are arranged in a room (though placement certainly plays an important role). And when thinking about the bedroom, it’s important to keep in mind its role as an inner sanctum of sorts. “According to feng shui principles, a master bedroom should be a private place reserved for rest and romance only,” says Olmstead. Ready to get your feng shui on? 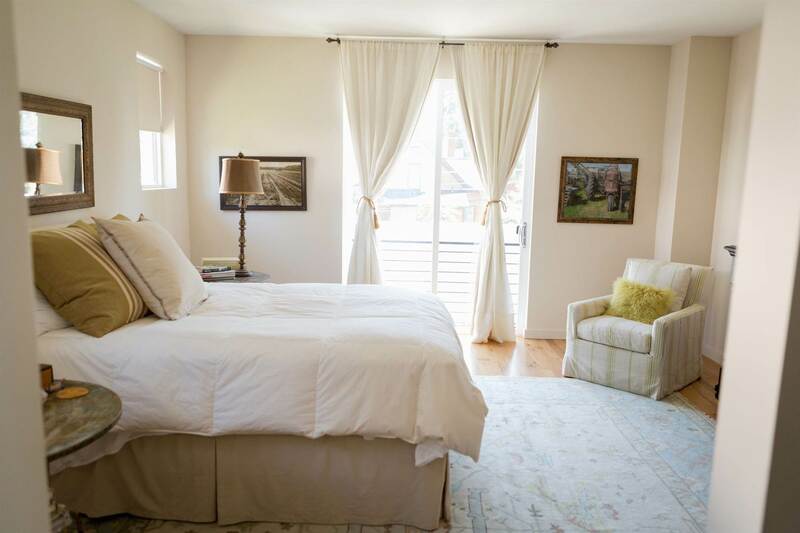 Here's exactly how to feng shui your bedroom for a restorative space where you can truly relax, according to the experts. If the bedroom is a place for rest and romance, then the items in that room should reflect that, says feng shui consultant Tisha Morris. “The energy in your home has a direct influence on you with each room representing a different aspect of self. The bedroom should only contain those items related to sleep, relaxation, and your relationship with your partner or yourself," says Morris. Feng shui consultant Marlyna Los says even religious relics should be kept outside the bedroom. "They have other sacred spots where they belong. Buddha should never see you naked." 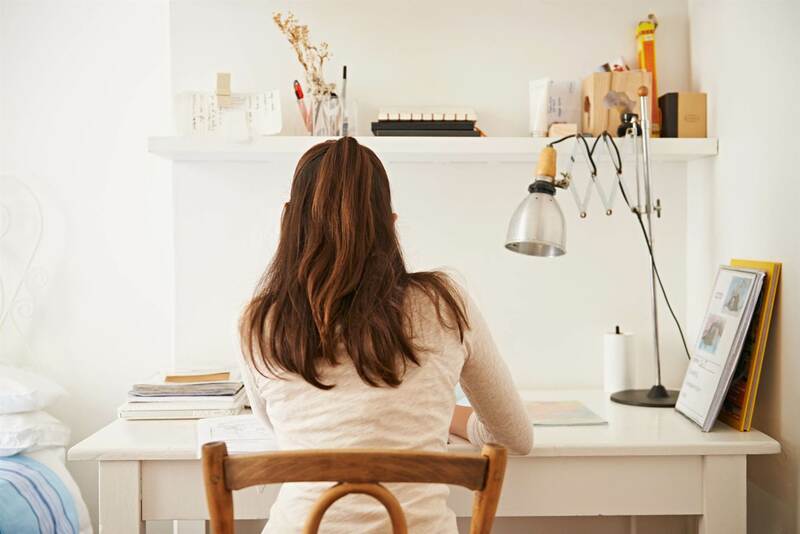 To maintain the peacefulness of your bedroom, keep it a work-free zone. That means keeping any work-related materials off of your night tables and moving your laptop and phone away from your bed. We know this can be difficult in today's age of working from home, particularly if you live in a tight apartment. “If you're limited in space and must work in your bedroom, be sure your work area is as far from the bed as possible, and use a screen or plants to hide the area at night,” says Olmstead. 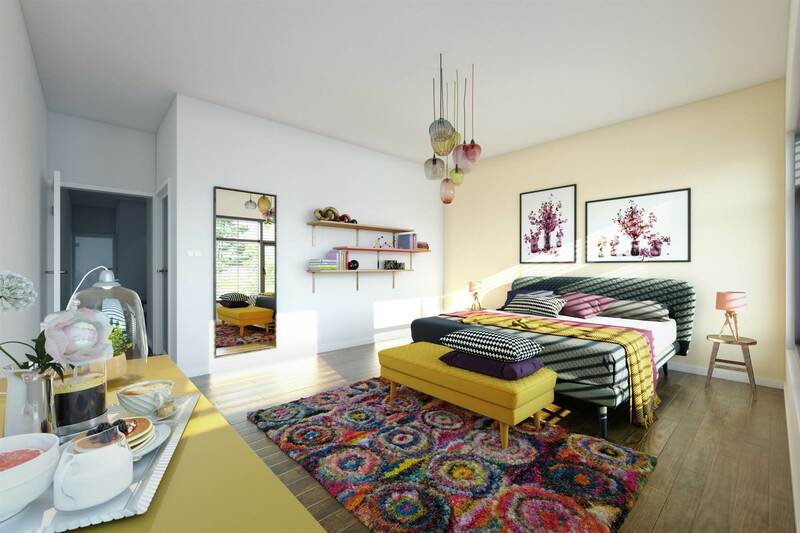 It’s well-known that colours can have a strong impact on mood and emotions, so it’s no surprise that the colour of your bedroom is worth paying attention to. “The feng shui rule of thumb is that warm colours create warmth in your relationship, while cool colours can cool it down,” explains Olmstead. She recommends a light, neutral colour for the bedroom. Most of us have at least one mirror in the bedroom, if not more, but feng shui experts advise against this. 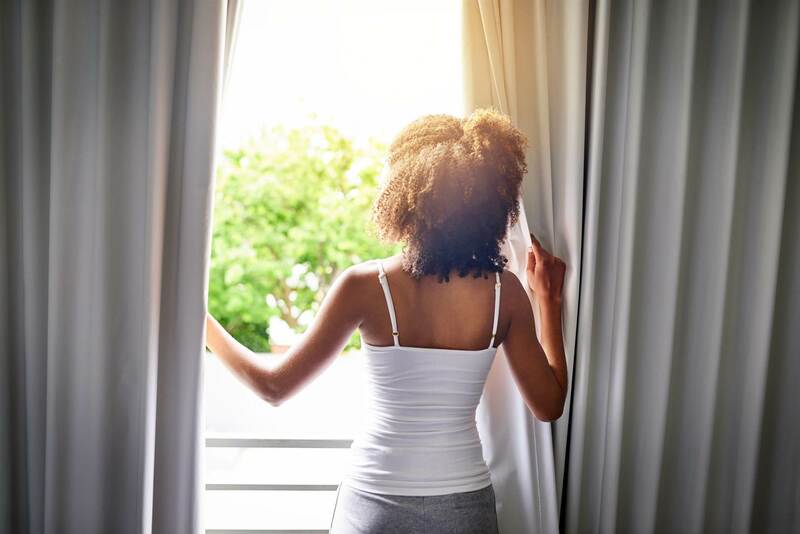 “If possible, remove mirrors from the bedroom, as the reflective energy causes excess energy in the room that can be disruptive to sleep,” says Morris. If a mirror in your room is non-negotiable, there are a few possible workarounds, according to feng shui expert Laura Cerrano. She suggests covering the mirror at night or placing the mirror so it is not facing the bed. It's important to balance the yin and yang in the bedroom, and one way to do that is by mixing textures, says Cerrano. Yin (the feminine energy) is evident in soft textures like a plush rug or soft blanket and "brings in that mothering, nurturing energy and emotion," she explains. The masculine yang energy, on the other hand, can be found in hard wood floors, for example. However, men can have feminine energies and vice versa, which is why Cerrano suggests balancing hard and soft textures in the bedroom. Los agrees: “Too many bedrooms now are too yang." Feng shui practitioners agree that the darker the room, the better. Blackout curtains can help ensure your room is perfectly dark at night, helping you relax and fall asleep more quickly. “There is science that shows that our bodies don’t produce melatonin if it’s not totally dark," Los explains. The placement of your bed is crucial to establishing restful sleep. Feng shui practitioners typically advise having the bed face the door, which Cerrano describes as a commanding position. "You have a clear vantage point... You want to be very clear about who you let into that space,” she says. Olmstead notes that while you want to see the door, you should "avoid placing it directly across from the door where you could feel too visible and vulnerable". To truly feng shui your bedroom, look to the ceiling as well. 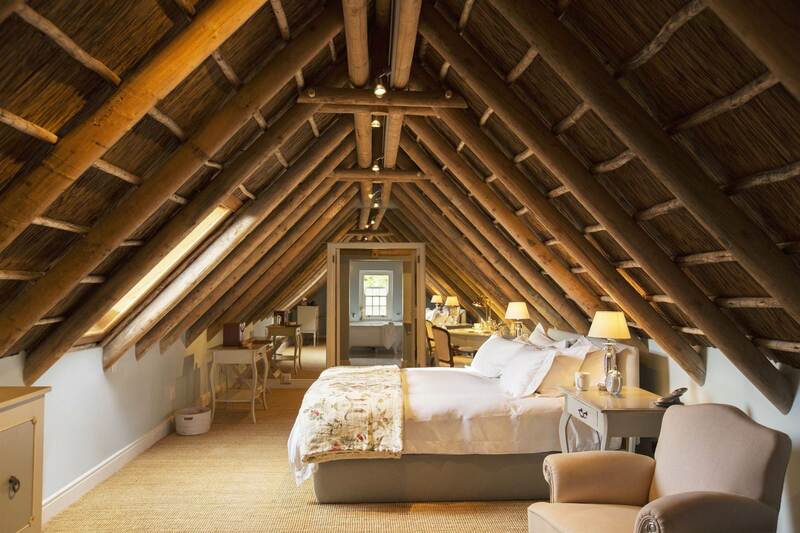 “We try to avoid sleeping under a sloping ceiling or under beams,” says Los. She explains that sloped ceilings create an uneven distribution of energy in the room, which gets pushed down onto the bed. "It’s like a drip of water dropping on you overnight, and you end up feeling oppressed. It’s very subtle, but a lot of these things are subtle." Cerrano agrees, explaining that people don’t sleep well under slanted ceilings and even ceiling fans because of harmful "sha" energy, which she refers to as a cutting or draining energy. If there’s no getting around sleeping under beams, try to position your bed between them. Put extra thought into what you hang on your bedroom walls. 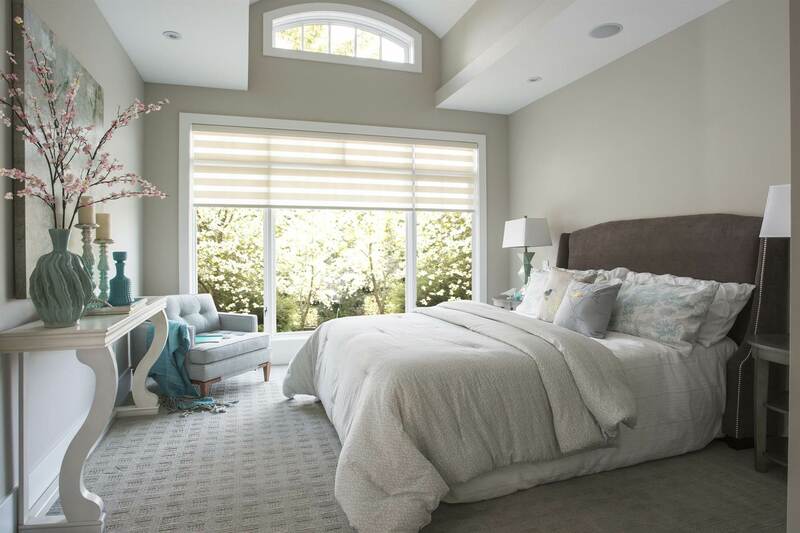 “When selecting bedroom art and decorations, keep in mind that what you see from your bed influences how you start and end your day, so make it a pleasant view that both partners enjoy,” says Olmstead. “Feng shui principles suggest displaying artwork that is romantic, coupled, or paired. Avoid displaying art or objects that feel single or solitary." And while Olmstead does suggest displaying current photographs of you and your partner, she recommends keeping photos of your children, parents, friends, and pets out of the bedroom. "After all, do you want them 'watching you' in bed?" Most of us have this trick down already, but you probably didn't know it was feng shui. “Having the bed positioned with a solid wall will replicate the concept of being supported and nurtured,” explains Cerrano. Sometimes a tight space or funky layout may make this difficult, but Olmstead offers a workaround: “If the only location for your bed is diagonally in a corner, place plants or a floor screen behind the head of your bed to fill in the empty space and offer some solid protection,” she says. You also want to pay attention to height - the side tables shouldn't be the same height as where you lay your head, she explains. Finally, look for side tables with rounded, curved, or beveled edges. "If you have a sharp point, it brings that sha energy," Cerrano says. 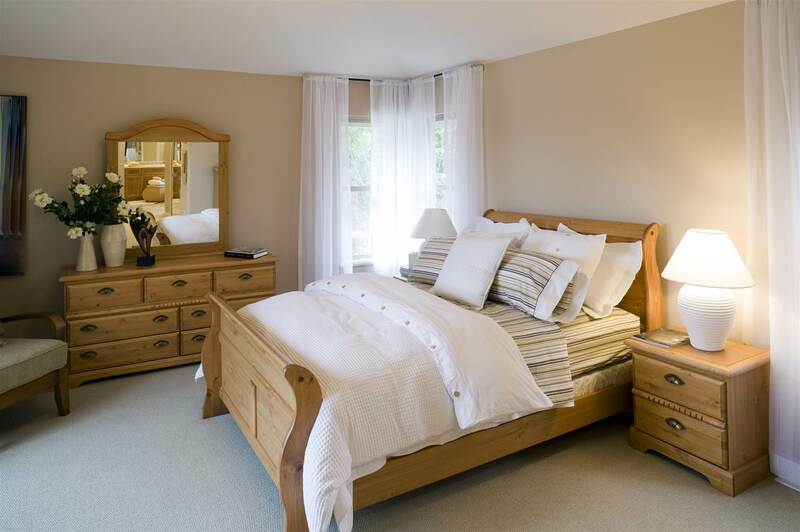 Make sure there's ample room to walk around on either side of the bed - even if that means getting a smaller bed. “When a bed for two people is positioned against two walls, one of the partners can feel symbolically ‘trapped’ in the relationship because he or she can’t get out easily,” Olmstead explains. By now, it's commonly known (although widely ignored) that TVs, phones, and other electronics are causing us to get less sleep. But Cerrano takes it a step further, warning against electromagnetic fields (EMFs) from tech devices in the bedroom, especially if someone is ill or hyper-sensitive. She even advises turning off the wifi before going to bed, as it "can penetrate the mind and body." Note: Research around the effects of EMFs is slim, according to the World Health Organization, but positioning your wifi router away from wherever you spend the most time and even turning it off at night is still a good idea. Feng shui experts say having a headboard on your bed is a good idea. 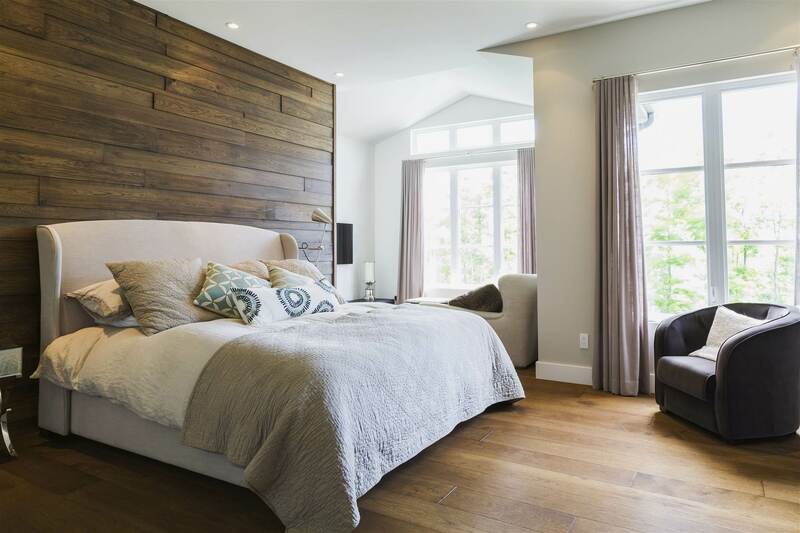 “Typically, it’s recommended to have a wooden bed frame and wooden headboard," says Cerrano. And if you do plan to keep electronics in the bedroom, wood works well as it's non-conductive, she explains. Upholstered or soft headboards are also excellent options. 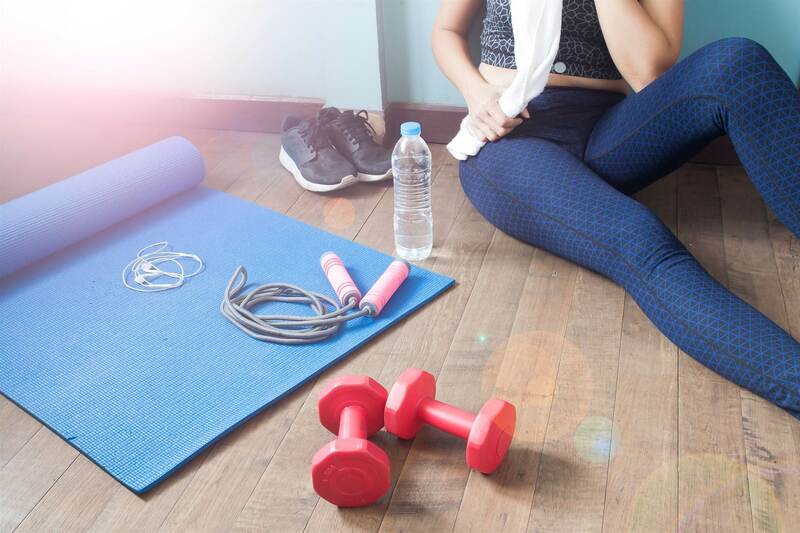 If you have a few weights, a treadmill, or even a full home gym, kudos to you - just keep it all out of the bedroom. “This is the complete opposite energy that is needed for a restful night,” says Morris. 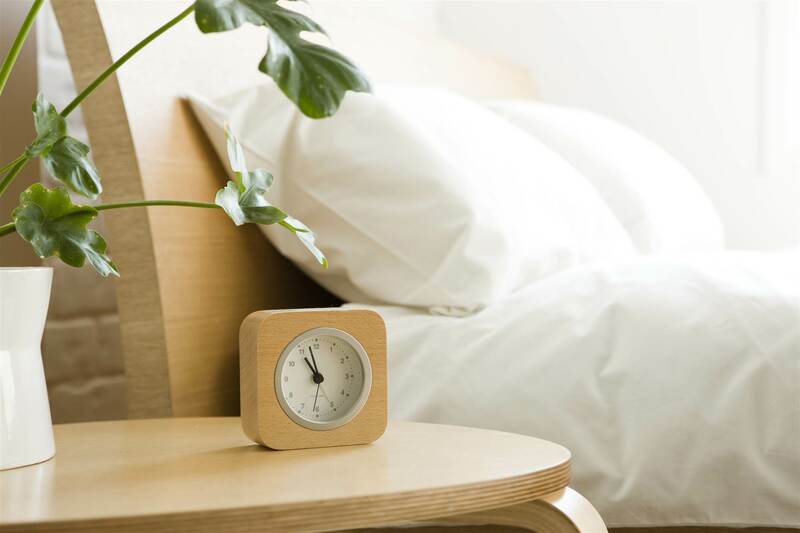 To freshen up the energy in your bedroom, Los recommends doing a yearly refresher. Pick up some new sheets or pillows, and maybe even wash the walls. "Who washes the walls anymore? We just paint over it," says Los. "We end up living in these loops of energy instead of intentionally bringing in positive energy."